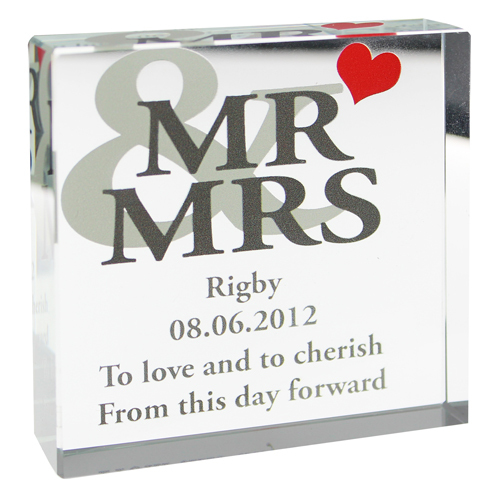 Personalise this Mr & Mrs Large Crystal Block with any message over 4 lines up to 25 characters per line. Please note. 'MR & MRS' is fixed text. Ideal for Anniversary, Wedding Gifts, Valentine#s Day, Engagement Present.